I would like to bring to your attention the disgrace and lack of kavod ha-mes that is going on at the Bayside Cemetery located at 80-35 Pitkin Avenue , Ozone Park , NY . 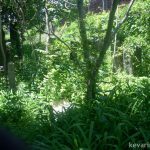 As I write this email, exposed bones, coffins, overturned gravestones, and mountains of garbage are strewn about as most of the cemetery remains buried under thick overgrown foliage, resembling an Amazon of African Jungle. I believe that I don’t have to remind you of the location of the cemetery. 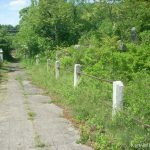 Bayside is not situated in an Eastern European country such as Poland and Russia, where this is unfortunately expected, nor is it in France, Spain or any one of the Muslim countries where the destruction of our cemeteries continue on an ongoing basis. The Bayside cemetery is in the Ozone Park section of Queens, a borough of New York City, home to the largest Jewish communities outside of Eretz Yisroel. While not everyone in the cemetery lived like Jews they all died like Jews and were buried in a Jewish cemetery. Among the over thirty five thousand buried at Bayside are world class Rabbanim, among them Rav Binkowitz, the Bialystoker Rav (many of his seforim are available on hebrewbooks.org), Rav Yudelovitch, and Rav Vidrowitz, the chief rabbi of Moscow. These and others like them all fought for the Torah, Shabbos, and Kashrus during the first half of the twentieth century. If you ask, who is responsible for this transgression, in truth we all are, but on the surface the cemetery is owned by Congregation Shaare Zedek, a Conservative temple located at 212 West 93rd Street on the Upper West Side who for decades skimmed off the endowment funds for other purposes, which was an open and outright theft. Unfortunately, the legal system in New York is such that District Attorneys are unwilling to take on a “Jewish Temple”. This outright abomination was therefore allowed to go on for many years. Eventually, Shaare Zedek just walked away allowing Bayside to fall into its current shameful condition. 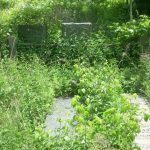 B”H, all is not lost, in the last few weeks an outside organization the Community Association for Jewish At-Risk Cemeteries, has stepped in to clean up and maintain the cemetery for next year or so. In addition, Shaare Zedek, a now defunct congregation, plans on liquidating its assets and hopefully some of the money will go towards the cemetery. I plead with everyone to contact their local politicians, State Attorney General, and community askonim to assure that the clean up continues and that this cemetery and other local cemeteries never fall into a state of disrepair again. Please feel free to contact me for more information, And kindly forward to as many people as possible. people should copy and paste this letter and send it to everyone they know! This is an outrage and a disgrace!!!! I would like to bring to your attention that CAJAC is NOT a registered 501C3 organization. It may not be advisable to send them money. They may not be such an outside organization. Does Satmar or the Asrah Kadisha know about this, perhaps they can arrange for a massive clean up. On behalf of CAJAC and personally (my Great grandparents and many other relatives are interred there), I thank you for posting this piece on Bayside Cemetery and especially the ongoing cleanup efforts of CAJAC and dedicated grass-roots volunteers. Given the responses to your post which underscore the emotional nature of this issue and the lack of historic perspective on how CAJAC came into being, I will take this opportunity to update your readership. 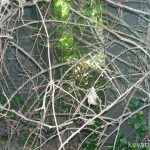 In 2006, a group of mostly young committed Jewish volunteers approached Shaare Zedek to see what could be done to help it fix the problems with Bayside Cemetery. This was a totally independent effort motivated by the desire to do Chesed Shel Emes. This small group, after consultation with Shaare Zedek’s leadership, the Hebrew Free Burial Association, The Jewish Community Relations Council and the UJA-Federation of NY, determined that Bayside Cemetery might be the tip of the iceberg. 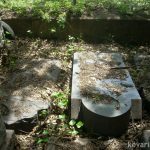 Therefore, they decided to incorporate a non-profit organization (501c3 pending) which, once funding allowed, would become the address for rescuing and maintaining Jewish cemeteries. 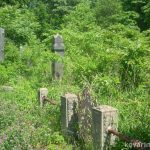 Its goal was simple – identify and address the problem cemeteries and get them cleaned and maintained properly while building Jewish community recognition of its responsibilities to honor our dead in a bekovodic fashion. 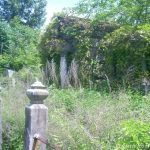 In 2006, the congregation allowed CAJAC to use its mailing address when the organization was formed, as CAJAC had no funds or office and clearly, Bayside Cemetery was to be the first and most obvious cemetery crying for CAJAC’s attention. Currently, CAJAC’s offices are located at One Barker Ave., Suite 260, White Plains, NY 10601. We thank your responder for reminding us that the address needs to be changed on the NY State website. 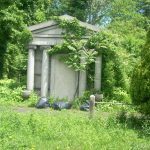 CAJAC and its Bayside Cemetery cleanup are funded with seed grants from the UJA-Federation of New York. We invite you to visit the CAJAC page on Facebook (http://www.facebook.com/pages/CAJAC-The-Community-Association-for-Jewish-At-Risk-Cemeteries/76314438341?sid=89048bfe40bdbd6dff3ad593cf29a0aa&ref=search) where you will find lots of material on CAJAC, the Bayside Cemetery cleanup in general, our video of the beginning of the project and all sorts of information about the board and CAJAC’s mission. We hope to have our website functional soon. 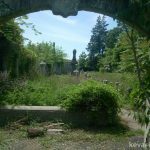 FYI – We are seeking additional funds to establish the long-term permanent maintenance endowment needed to continue the maintenance of Bayside Cemetery after the cleanup is finished (projected by the end of calendar year 2009) and the other cemeteries that CAJAC will undoubtedly address over the years. If you’d like to donate, please remember that our 501c3 is pending, so until it is approved, all donations can be sent for CAJAC through the Hebrew Free Burial Association (which has several hundred graves located at Bayside Cemetery and is cooperating with CAJAC in its clean up effort). Please do remember, CAJAC is a totally independent organization and the Bayside Cemetery clean up effort is being supervised under the strict rabbinical supervision of CAJAC’s Rabbinic supervisor, Rav Elchanon Zohn of the Vaad Harobonim of Queens. For additional information, please feel free to contact me directly at howard.s.feinberg@gmail.com or 201-647-7560. Regardless if they are connected, the bottom line is that the place is starting to get cleaned up. I can personally attest that Rabbi Zohn, director of the National Association of Chevra Kashias is involved with the clean up at Bayside due to the many conversations we had on the subject. The gardeners who are cleaning up are under contract to stop working and notify Rabbi Zohn whenever an exposed body or bone is found. Baruch Hashem we are blessed with some great Askonim. 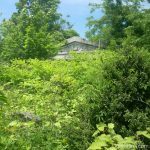 I can’t believe that it is in Queens, its a jungle not a cemetery, who knows perhaps this is where Osama bin Laden is hiding. While I fully agree that Rabbi Zohn’s only interest at Bayside is kavod hames, I am not so sure the same applies to CAJAC. Some of the people involved with CAJAC are also involved with Shaare Zedek for example, Ethan Klingsberg a founding member of CAJAC in a trustee at Shaare Zedek. I am not sure that they are 100% an “outside organization” as Howard Fienberg claims. Did you ever speak to him or other members of CAJAC, what were your feelings? Who is John Lucker and what is his connection with Bayside? For more information about John Lucker visit his website: http://www.baysidecemeterylitigation.com. Mr. Lucker has spent a great deal of money and energy bringing the Bayside Cemetery issue to light. In addition, he has an active lawsuit against Congregation Shaare Zedek. Among his accomplishments is a genealogical listing of many of the Bayside Cemetery interments. I use the listing as a tool to try and locate the many rabbanim buried at Bayside. I don’t know if anyone noticed but the board member listing on the Shaare Zedek website has been changing. Is Barry Yood, the Treasurer of CAJAC a descendant of Rav Avroham Aaron Yudelovitch? I believe so, on a side note a word of caution when visiting Bayside, watch out for poison ivy it’s all over the place. I was there this morning, it look like they ARE finally starting to clean the place up. When (“if ever”) you speak to the people at CAJAC please ask for more details regarding the clean up and long term plans. I believe so, I know he was honored by the rededication of the Eldridge Street Synagogue where Rav Avroham Aaron was moreh dasrah fro many years. .
NKap is right, and the NY post report (see link) confirms that. Howard Fienberg of CAJAC finally called me back (apparently my emails were going to his junk box ……. go figure) anyhow to make a long story short I will be meeting with him at Bayside on Monday morning at around 9:30. Baruch. Glad to see you’ve made it to Bayside. Good luck on Monday. Tizke Lmitzvos. Baruch, get some photos of the cleanup. The good news is that the lawsuit against Congregation Shaare Zedek and Bayside Cemetery has been moved to NY State Supreme Court. I read through the lawsuit and it’s even tougher than the last one that was in federal court. I hope justice prevails! The congregation needs to be punished for their misdeeds. Jewish tradition is very clear… Kavod Hamet… Respect for the dead is a sacrosanct tenet of the Jewish faith. In this open letter to all Jewish people worldwide, I am providing information about an issue that needs to be more widely discussed and remedied – because a great shame has fallen on the New York City Jewish community at a time when other disgraceful events have occurred and been widely publicized. Yet this shanda is one that the community can fix. My grandparents, Harry & Ruth Lucker (and many more unrelated decedents), paid for and signed perpetual care and annual care contracts with Congregation Shaare Zedek in Manhattan for their graves at Bayside Cemetery – contracts which Congregation Shaare Zedek has admitted to the New York State Attorney General it breached by invading cemetery trust monies and improperly using the monies for their own synagogue. 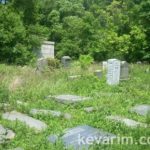 As a direct and proximate result, Congregation Shaare Zedek has not been maintaining the cemetery claiming that they have no funds. Bayside Cemetery is 13+ acres with 34,000 graves. The cemetery looks like a rainforest yet it is right in the center of Queens, in New York City, the home of the second largest Jewish population in the world. In September 2007 I filed a class action lawsuit in US federal court naming Congregation Shaare Zedek at 212 West 93rd Street in Manhattan and their Bayside Cemetery in Ozone Park, Queens as defendants. After 2 years, the case was dismissed on jurisdictional grounds as the federal court believes this matter properly belongs in state court. 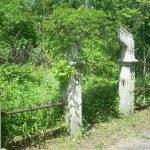 In October 2009, I re-filed my lawsuit in the Supreme Court of New York State and named the Community Association for Jewish At-Risk Cemeteries (CAJAC) as an additional defendant. I am suing the synagogue for the horrendous and disrespectful desecration of Bayside Cemetery, their non-performance of their contractual obligations, and for the statements they have publicly made admitting to co-mingling the cemetery’s funds with those of the synagogue and subsequently using the cemetery’s funds for the benefit of the congregation in violation of trust and fiduciary law. I seek no personal gain from this lawsuit; rather I have been left with no alternative because of the lack of any viable response, action and long-term plan from the synagogue. I simply want the synagogue to honor its commitments, both contractual and moral, to those who are interred in the cemetery, to their families and to the greater Jewish community. 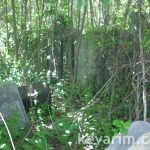 As a result of the synagogue’s unlawful conduct, Bayside Cemetery has fallen into complete and total disrepair with wild vegetation, grave desecration, recurring vandalism of graves and mausoleums, exposed human remains, and endless excuses from the congregation for why they have allowed the cemetery to disintegrate. 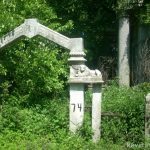 There has been little or no effort by the synagogue to repair or return these gravesites to their original or even a broadly acceptable state. Rather, there has been a long, meandering effort by the synagogue to alternatively deny responsibility and delay any efforts to correct this horrendous wrong. 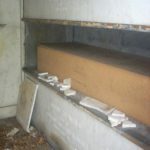 The details of my lawsuit, along with significant information about the situation at Bayside Cemetery, a library of genealogical records for many thousands of people buried at the cemetery and hundreds of pictures of the horrific and disrespectful condition of Bayside Cemetery can be found at http://www.baysidecemeterylitigation.com. 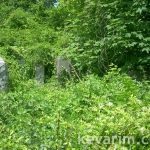 Why is the NYC Jewish Community turning a blind-eye to Congregation Shaare Zedek’s theft of perpetual care monies which has resulted in the desecration of 34,000 graves? Why are we unwilling to fully enforce one of our primary commandments “thou shall not steal” within our own community and what message will it send that we refuse to self-police within our own community? How can the UJA Federation of New York, the Jewish Community Relations Council of New York and other Jewish Organizations condone Congregation Shaare Zedek’s conduct, prevent full disclosure concerning the stolen monies and seek to protect Congregation Shaare Zedek from full scrutiny for its actions? How can the rabbi and members of Congregation Shaare Zedek daven under a roof that has been maintained using stolen monies? How can they recite the mourners Kaddish at Sabbath services and pay homage to the deceased when their synagogue so severely disrespects those at their cemetery (including deceased members of Congregation Shaare Zedek)? 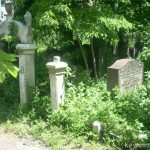 Have recent scandals and events in the Jewish community made us so numb that we are no longer surprised by anything including the theft of monies by a synagogue from its own cemetery? These are only a few of the questions that need to be asked and answered. But the only way that the wrongs at Bayside Cemetery can be righted, and this shame on the Jewish Community lifted, is if everyone who learns about this situation gets involved and speaks out. So please go to http://www.baysidecemeterylitigation.com to learn more. And then email, write and/or call every New York City Jewish organization, synagogue, newspaper, magazine, TV/radio station, national TV news show, rabbi, UJA official, politician, government official, the NY State Attorney General, Social Justice Director or anyone or any group you can think of to let them know that you think that Bayside Cemetery is a complete disgrace and that Congregation Shaare Zedek needs to fully disclose its wrong doing, conduct a formal forensic accounting for the cemetery’s former and current monies, clean-up the cemetery and fund the cemetery for permanent perpetual care which is what the thousands of people buried there paid for. Please get involved. 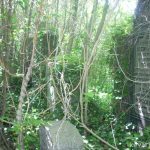 You can make Congregation Shaare Zedek accountable for their moral, ethical and legal violations and compel them to restore and maintain their cemetery now and in the future. The Jewish Community must hold its own people accountable when wrongs are committed. This is a wrong that must be righted – because Kavod Hamet is what we all must do. If we do not respect our ancestors, our most sacred duty, what is our legacy as a people and a community? Won’t you please join me in this worthy endeavor? Researching my cousin’s Tan(n)enhaus family, I read the above letter. This situation concernng the Cemetery (ies) is unconscionable, why the Jewish Community has not risen as one in protest is beyond me. The original contract has been broken, fraud is involved, one has to wonder–a Synagogue rising on stolen funds—isn’t there religious text abt temples built on shifting sands? The larger shock is the lack of respect for the ancestors–the uncaring, apparently, ho hum, attitude. I am my families historian, biographer, genealogist—the blood lines, the marrying in lines. Of mixed racial/cultural background, I’m an enrolled American Indian, who walks the traditional path. My work often involves tribes/ communties striving to sort out, repair, find and re-establish, history, identity. OUr ancestors, goodm bad, indifferent, lived,survived, that we could stand here today. To disrespect them in anyway is against the teachings of the Elders, against the Laws of God. Destruction of our religion, culture, families is how we are lost– how we are beaten–from outside, and from within. The enemy is too often the face in the mirror. I am copying/sending, your above letter/information, to friends/family of my own who may care, add a voice. Thank YOU for doing what is needed, what is right. My mother isn’t doing so well, and I’m trying to make funeral arrangements. My father was buried in the Bayside Cemetery In 1981, and they have no record of his burial plot. If anyone has any information of how to help me through this, that’d be much appreciated. I’d like for my mother and father to be buried together, I don’t think it should be this difficult. Thank you! Has there ever been a resolution to this situation, particularly cleaning the Bayside Cemetery? For a long time, my mother and then I, were billed and paid for minimal but acceptable care. I believe bills stopped coming two years ago and my letters of inquiry have not been answered. My grandmother and other family members are buried there. 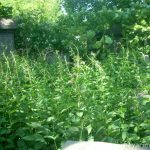 And what’s with several Jewish cemetaies in and around Newark, New Jersey which are in similar conditions as the Bayside Cemetary, and Newark is in our backyard, not so far away. Your right that we should care for the other cemeteries too. Regarding which one is in our backyard that already depends on where each individual lives, resides or works. Then there is sometimes that a person has a feeling to and/or some kind of spiritual connection to a certain place & on that you can not criticize, because simply it won’t help.